They're calling him Angel. 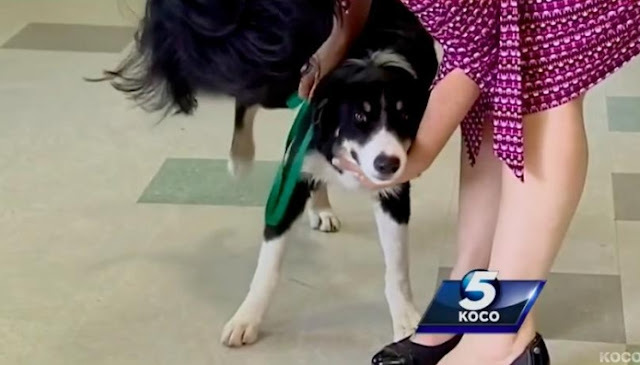 The border collie showed up a few weeks ago as a stray in an Oklahoma City neighborhood, friendly, but unclaimed. "Real pretty dog, black and white. I don't know who it belongs to but he was real friendly," one resident told local outlet KOCO. But Angel became much more than just a neighborhood dog this week when he saved a child's life. He was hanging out near a group of children as they played by the curb, and when one little girl went to step into the street without noticing the truck that was speeding towards her, he leapt in front of it. The truck hit him instead of the child. "He really was a watchdog," Charles Saxton, who was there at the scene, told KOCO. "He saved her life. Saved her from getting hit." Angel's leg was injured badly, so residents brought him to Oklahoma City Animal Welfare, where he's clearly become a staff favorite. The shelter posted a happy update about him on their Facebook page Thursday, saying, "Angel saved the life of neighborhood kids. 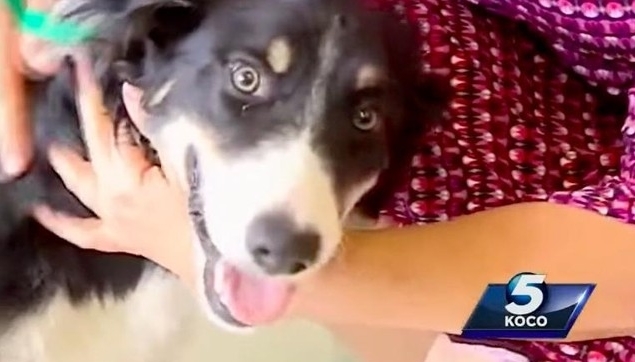 He will be adopted into his new home tomorrow and will get the surgery he needs to heal." He's already proven what an awesome dog he is — now Angel will get to shower all his love and loyalty on his new family. Responses to "Stray Dog Steps In Front Of Speeding Truck To Save Child's Life "
in dog we so utterly, and totally, trust.